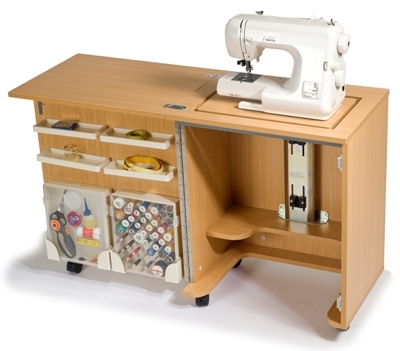 This revamped entry level Horn sewing cabinet, with just what you need for sewing and storage. The super compact Horn CUB plus cabinet includes loads of storage on the door (now includes removable accessory cases), and is easy to move on its five lockable castors and has the sturdy build quality you expect from Horn Furniture. 3 step push down release air-lift mechanism means a quick push down moves your machine from storage to flatbed to free-arm postions and will fit many domestic sewing machines on the market old or new. Recessed angled door gives firm support for the lid/working extension, provides extra legroom and prevents draped fabric from catching. Extra stable, open base construction; 5 easy rolling lockable castors, are attached to aspecially designed reinforced frame. Door storage bins are recessed under the lid by means of a specially constructed angled door system, this allows your fabric to drape down without catching or disturbing the door bin contents. 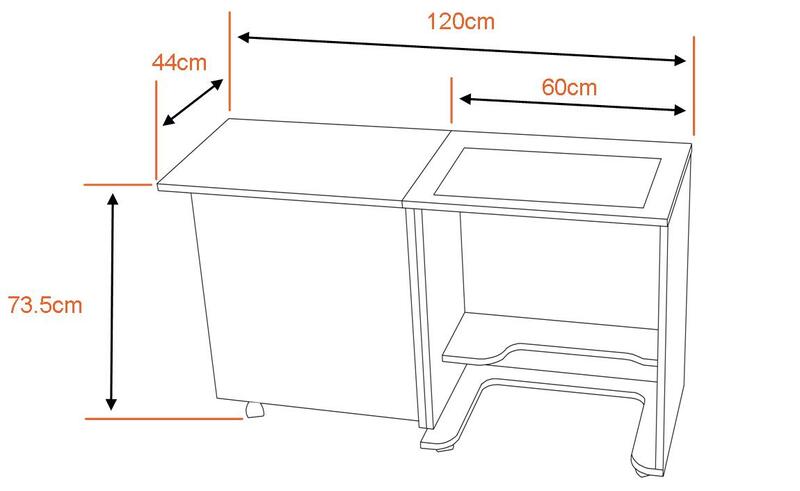 Work surface is fitted with Flush mounted non snag hinges. Arrives fully assembled, this Horn cabinet is beautifull finished front to back, inside and out.